Published Tuesday September 3rd, 2013 at 301 × 407 in Technical draft of manifold. Techniprot ®. 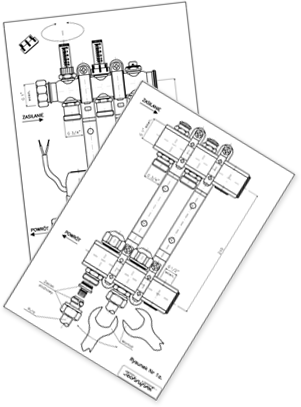 Manifolds Techniprot ® Technical draft of Manifold. These is a four way manifold. We put here addidional information how to assambly manifold and what kind of tools You should use to do it correct.